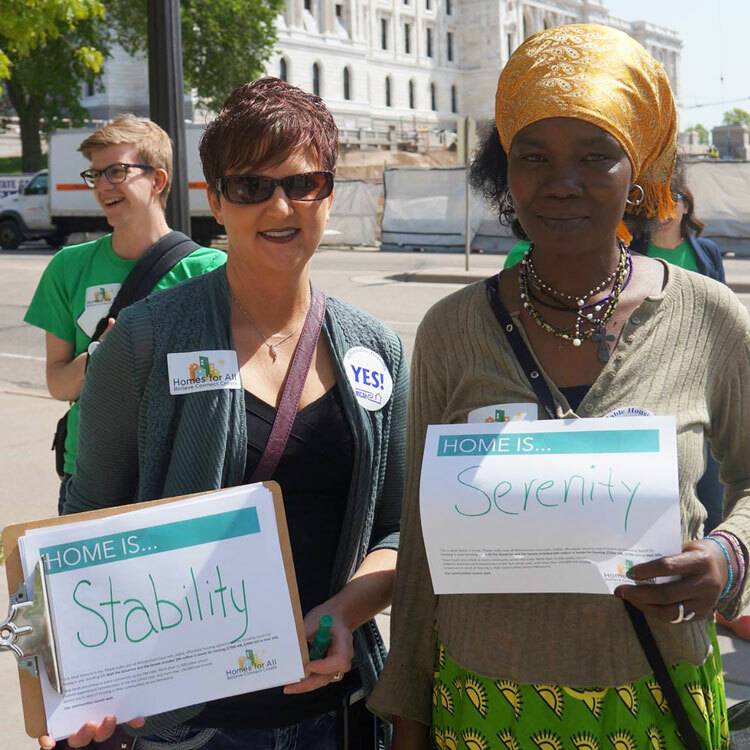 Homes for All is a statewide coalition working to ensure that every Minnesotan has a safe, stable, affordable place to call home. Our advocates span the state — and we need your voice, too. We know that real world stories make a big difference in galvanizing lawmakers to take action. That’s why we hope you will share your story — or stories in your community — about housing challenges. Click here to fill out the storybank form, and please share with your networks! We also encourage you to engage online with a Tweet or email to your lawmakers, join us in person at a Day on the Hill, attend or call into a coalition meeting or become an active participant in one of our working groups. Whatever your interest or capacity, there’s a role for you to be a vital member of this critical fight! Stay updated on all the opportunities to advocate this session by signing up for our email list, reading our blog and following us on social media. We look forward to your contribution to Homes for All! If you have questions refer to our Contact page for a listing of Co-Chairs, Policy Team Chairs, Engagement Team Chairs and Communications Team Chairs.